those with embedded images or other files. 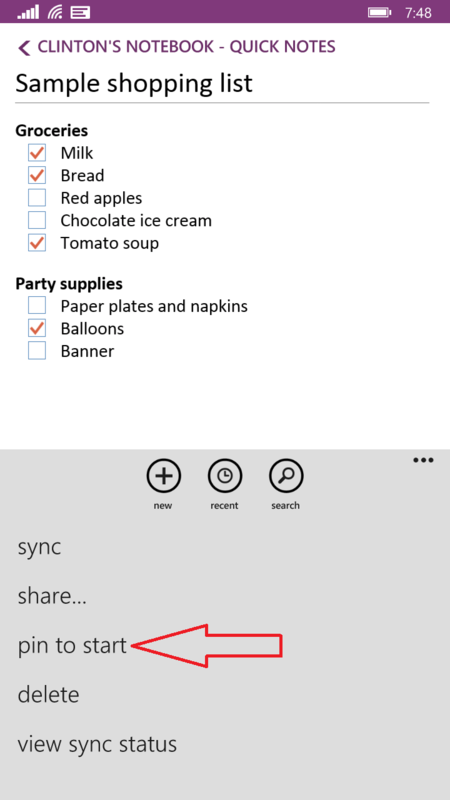 Once you get to the note you want to pin, go to the menu button in the lower-right corner of the OneNote app and open the menu. The 3rd option down is to “Pin to Start”. 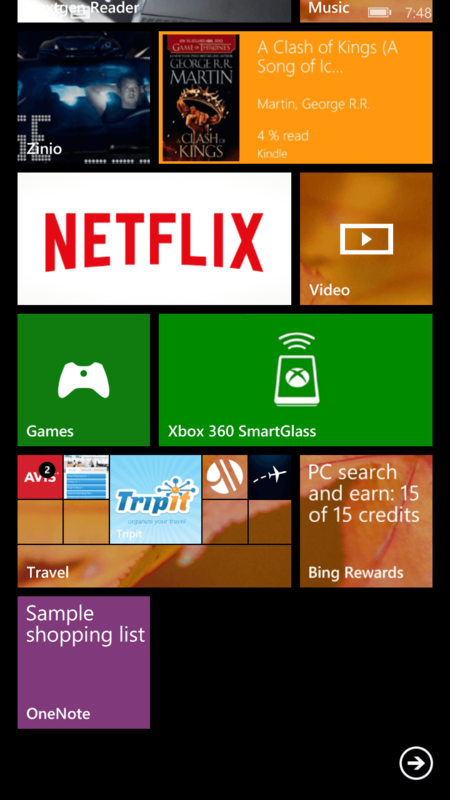 Tap this and you will be taken back to your Windows Phone’s Start screen where the note that you just pinned will now appear. Note also there is a limit to what can be pinned to the Start screen in OneNote. It has to be a note at this point and not a notebook. This is a sizable limitation in my mind as the need to pin my notebook for say my work meeting notes is more important to me than a specific note about a specific meeting in that notebook. Hopefully with Windows 10 and the updates coming to the Office apps we will see better pinning abilities in OneNote. While we wait for Windows 10 on mobile, I created an app, “Pinmore for Onenote”, that allows you to pin tiles for sections and notebooks on Windows Phone, rather than just the note tiles that the OneNote app provides. It also allows you to create new notebooks and sections from the app, rather than having to use your desktop or the website.